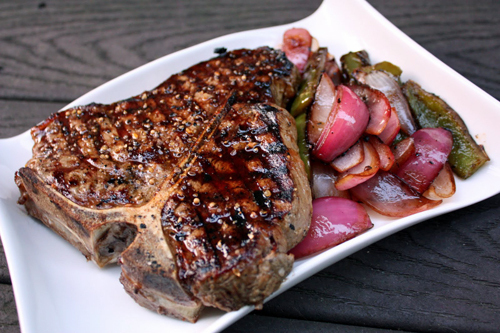 The classic Porterhouse cut with a satisfying 24oz. for the hearty appetite. Offering two unique steak flavors in one, our Porterhouse Steaks are sure to please even the most steak discerning palate. From the rich taste of the Sirloin Strip to the buttery-soft larger portion Filet Mignon, you are sure to satisfy that hunger for steak.